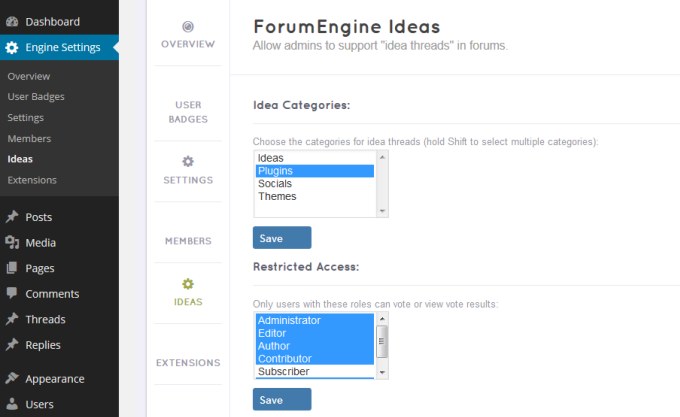 FE IDEAS is an extension which allows admins to create "idea threads" in their forum. Besides, their users can rate the ideas and see the rate results. After logged in, admins or mods can change status in the Single idea threads. You can decide who can change the status in the back - end settings. Users can see the Number of voting. 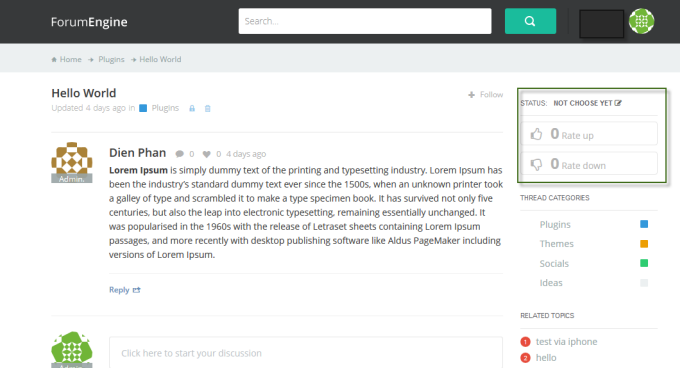 Users can also see the Voting widget, the Voting button in idea threads. Admins can choose categories for ideas threads. Admins can decide which user role can vote or view vote result. 3. 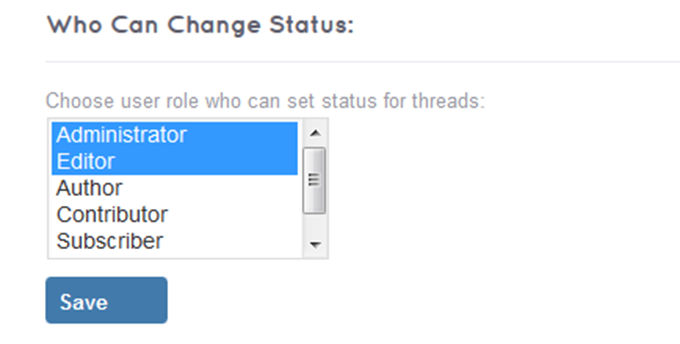 Admins can set which user role can change the status of Idea threads in frontend. 4. 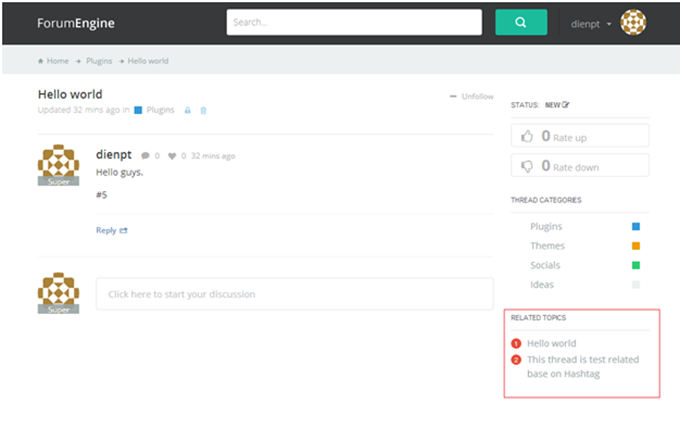 Admins can set the default status for Idea threads. This widget will list all related topics base on hashtag. 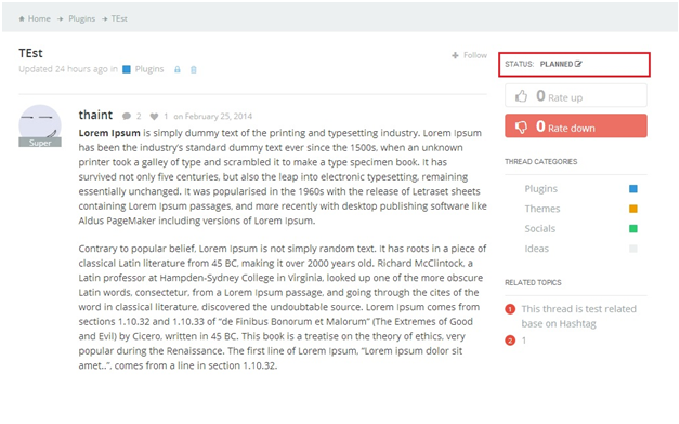 When you create a new topic or post a replies/comments, you can type #yourhashtag (without space) to create a hashtag.